Ganja Mall Cinema presents a premiere of another interesting movie as every Thursday. 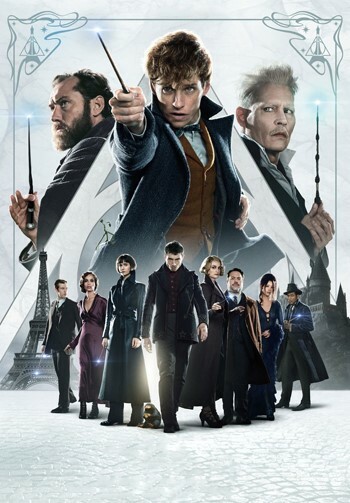 You can watch the movie "“Fantastic Beasts: The Crimes of Grindelwald" in Ganja Mall starting from November 15th. The second installment of the "Fantastic Beasts" series set in J.K. Rowling's Wizarding World featuring the adventures of magizoologist Newt Scamander. Directed by David Yates, main roles are played by actors such as J Eddie Redmayne, Johnny Depp, Ezra Miller, Zoë Kravitz, Katherine Waterston, Jude Law. Visit to Cinema Plus Ganja Mall to watch the movie by sharing exciting and interesting moments with your loved ones!